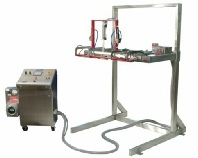 For explosive environments such as gas, vapors or powders. Explosion proof sealers for all div & class requirements. Can be manufactured in custom sizes or orientations. 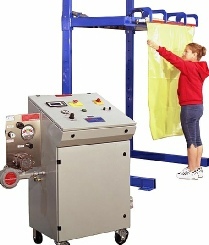 The heat sealer is pressurized and comes with safety vents, auto shutoff, and optional audible alarm. Electronics to be housed in NEMA enclosure.